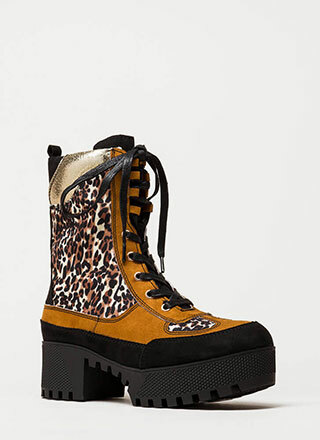 Flirty floral accents freshen up the sleek profile of these go-anywhere booties! 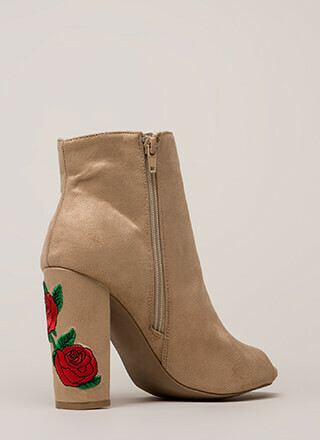 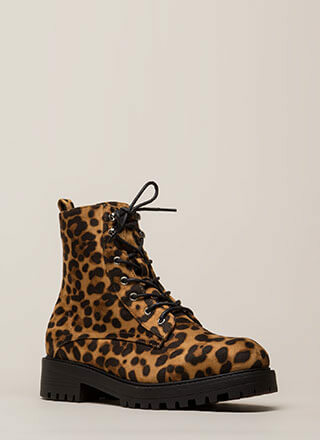 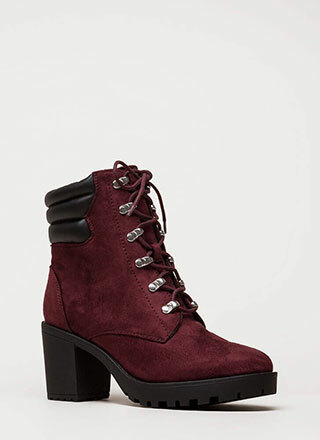 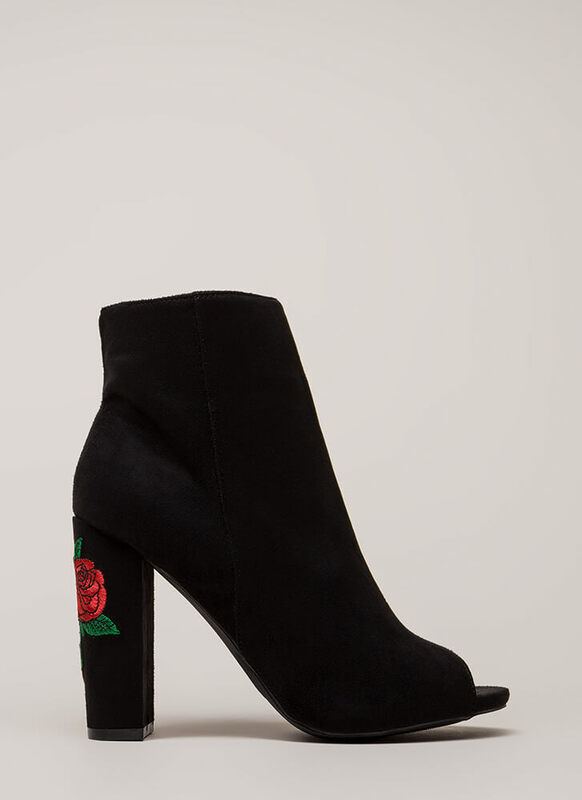 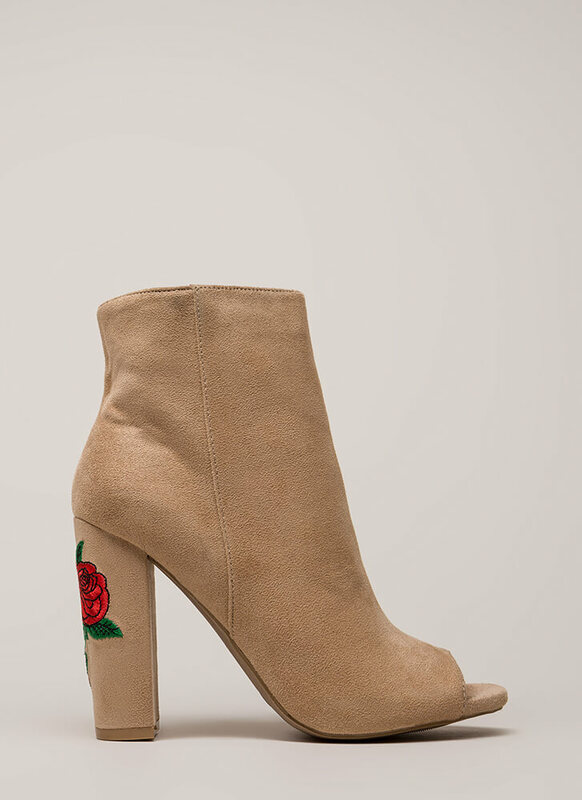 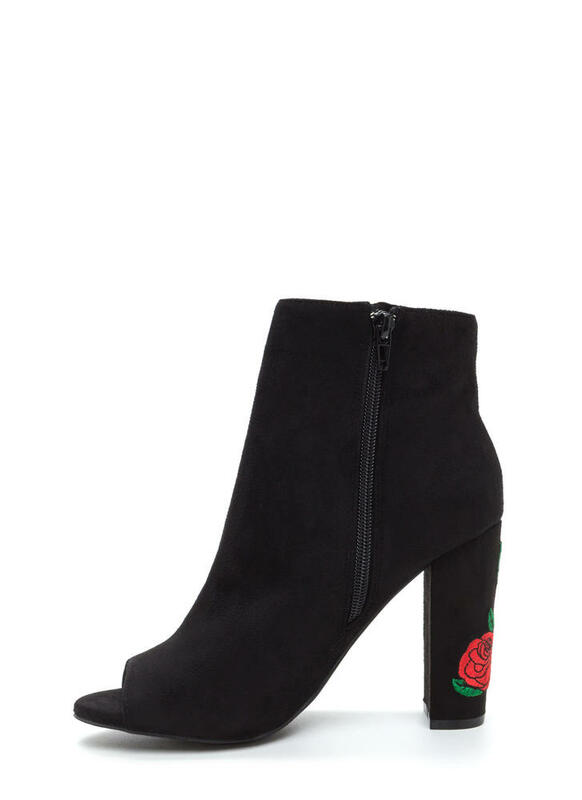 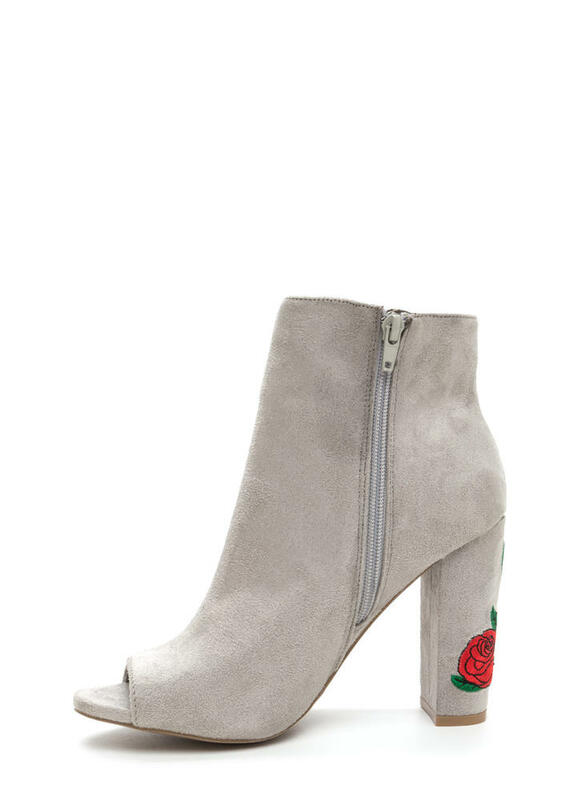 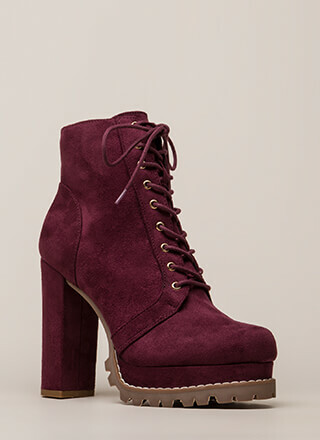 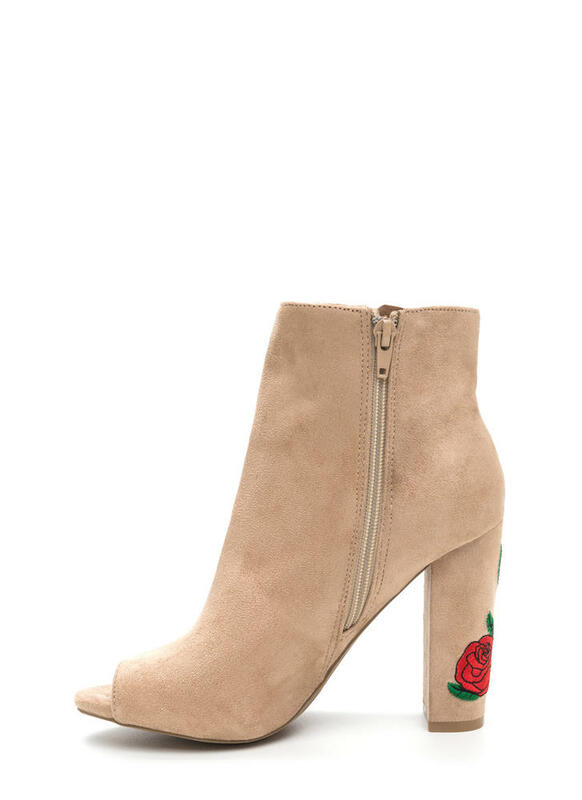 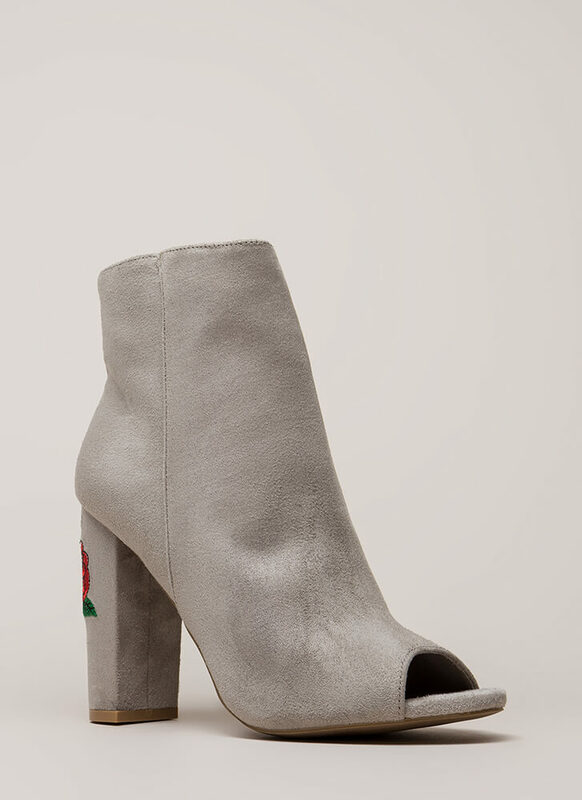 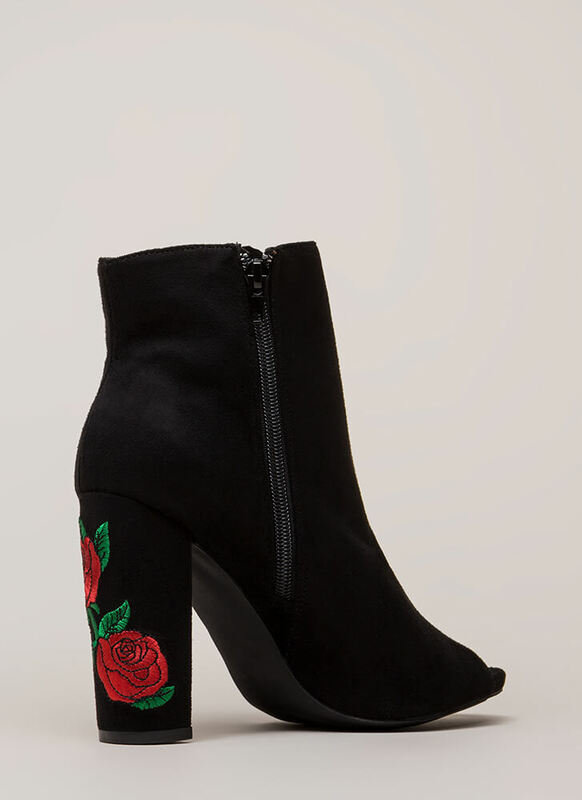 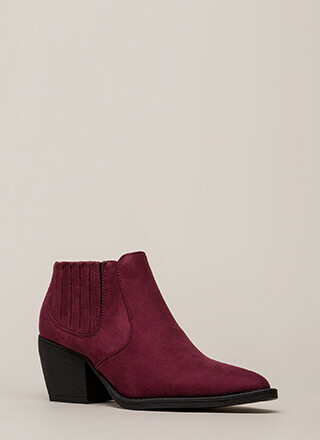 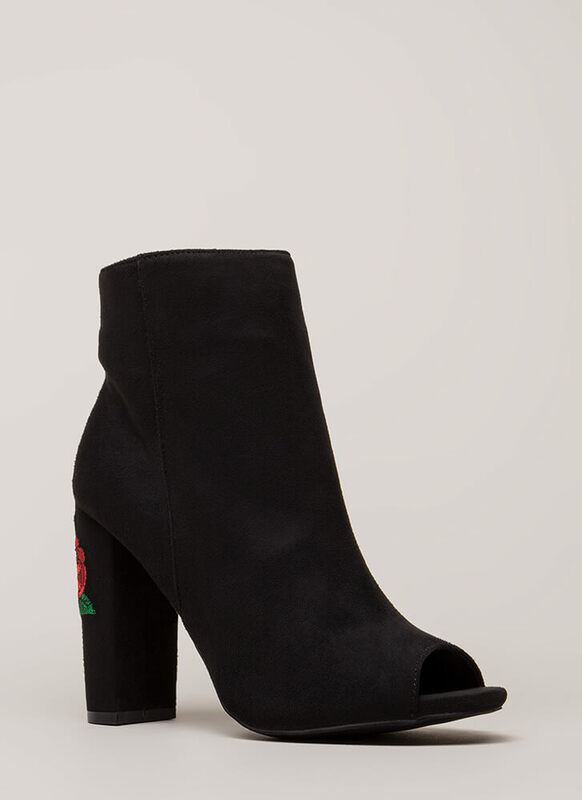 Vegan suede, peep-toe booties feature a chunky heel emblazoned with two embroidered roses and foliage. 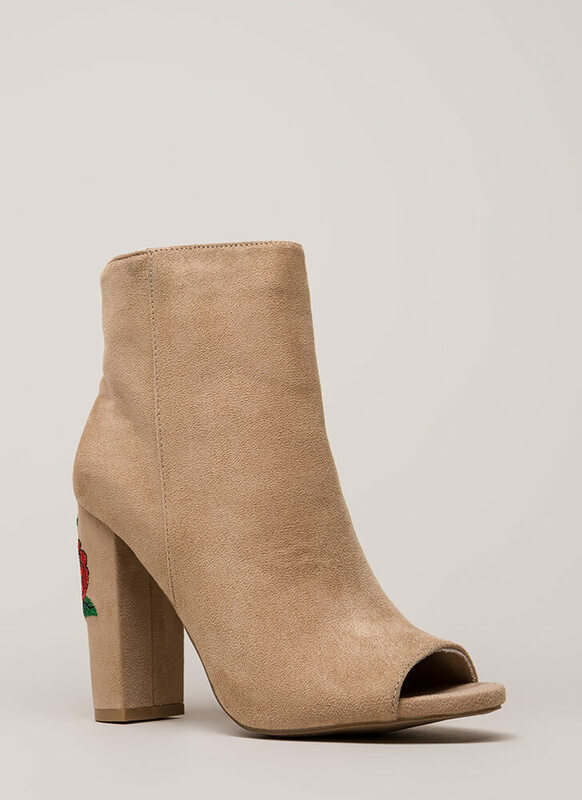 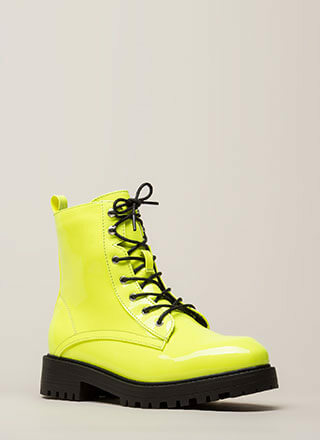 Side zip closure leads to a ridged sole.